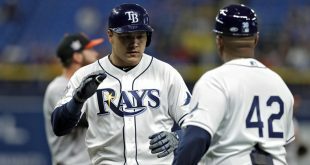 In the midst of a terrible season that has seen the Tampa Bay Rays (37-57) accumulate a losing record and, at one point, lose 11 games in a row, the Rays had a bit of a breakthrough Wednesday night on offense. The Rays dominated the Colorado Rockies (43-51) 11-3 on the road. It was the second game in a row that the team has beat the Rockies by scoring at least 10 runs. 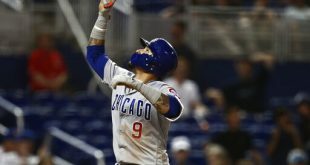 So far this season Tampa Bay has been terrible offensively, ranking near the bottom of the league in runs– as a team, they have only scored 378 total runs this entire season which is especially poor when compared to the Chicago Cubs, currently the team with the best record in baseball, who have 482. The Rays are also last batting average (.241). But, the Rays scored 11 runs off 16 hits. 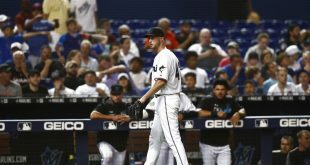 Pitcher Chris Archer–who had his first win since June 6–struck out 11 batters over six innings and the Rays won the three-game road series against the Rockies. Tampa Bay manager Kevin Cash said he was pleased with the team’s offense. 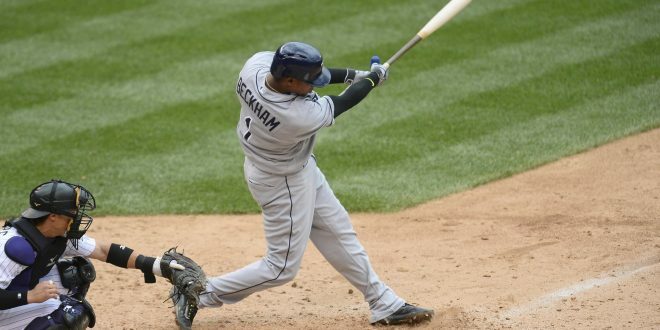 He also took time to praise second baseman Tim Beckham, who was five-for-five at the plate. Beckham said he hopes to build off that momentum. Next up, the Rays will face the Oakland Athletics (42-53) in a four-game series on the road. 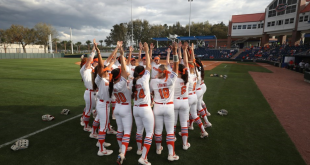 Though the Athletics sit at last place in the American League West division, they won the series when they last faced the Rays in a three-game series in May. First pitch against the A’s is set for 10:05 p.m. on Thursday. Junior telecommunication student at the University of Florida. Passionate about all things related to sports.